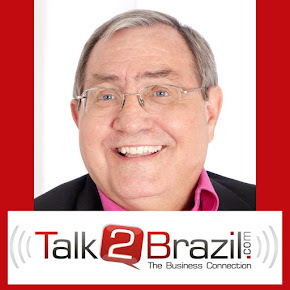 Talk 2 Brazil interview with Steve Scheibe, American living in San Diego, CA. Listen to "Steve Scheibe, Brazil Expert, All Abroad Consulting" on Spreaker. Aron Goldstein, LatAm Bridge Builder. Talk 2 Brazil interview wirh Aron Goldsrein, Brazilian living in Israel. Listen to "Aron Goldstein, LatAm Bridge Builder" on Spreaker. Elinor Stutz, CEO Smooth Sale, Author, Inspirational Speaker. Listen to "Elinor Stutz, CEO of Smooth Sale, Author, Speaker" on Spreaker. Talk 2 Brazil interview with Daniel Bland a Hawaiian, living in São Paulo, Brazil. Listen to "Daniel Bland, Latam Editor Global Fleet" on Spreaker. Talk 2 Brazil interview with Russell Dalgleish from Linlithgow, Scotland. Listen to "Russell Dalgleish, The Tall Scotsman, Campinas, Brazil Visit" on Spreaker. Listen to "Nicole Jansen, CEO Discover the Edge" on Spreaker. Stuart Morgan, C Level Training Expert. Listen to "Stuart Morgan,"C Level" Training Expert." on Spreaker.